This disc contains what is without a doubt some of the best Beethoven playing ever caught on record. Actually, it contains some of the best piano playing—period. Maurizio Pollini, sometimes brilliant to a fault, makes more out of these sonatas than his colleagues current and past, and he brings enough emotional charge to his already technically flawless articulation. The Hammerklavier Sonata, op. 106, is monumental, thundering, grandiose. Others, like Sviatoslav Richter, Willhelm Kempf, Rudolf Serkin, or Richard Goode, are more concerned with working out the melody, but at the cost of the mountainous quality. 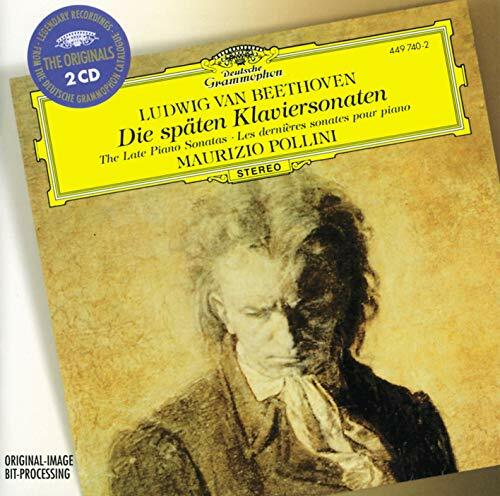 In the slow movement of op.111 Pollini is lyrical and gentle, after having just climbed its first movement with vigor. Thomas Mann spent a whole chapter in Dr. Faustus on op. 111: if you hear it on this recording, you might wonder why not an entire book. This is a performance of five masterpieces that you must have if you like the genre, and if you don't, you will after listening to this! Maurizio Pollini will be playing in Washington on October 27th at the Kennedy Center. I ♥ Huckabees...or Do You?